There exists a secret society where one’s ability to travel through time is “gifted” to members only by blood. Those who try to enter the society quickly come to realize that time is a force not to be reckoned with. 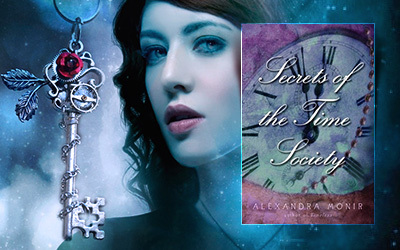 Alexandra Monir’s short story exclusive eBook, SECRETS OF THE TIME SOCIETY, sheds light upon the world created in her novel, TIMELESS, and forecasts the fate that lies ahead for its protagonist, Michele Windsor. Now that Michele is gifted, there are some who will do anything to take that power away. Book 1.5 in Timeless series (Short story). Note: I’ve marked it as 2.5 because I think it’s best to read it after reading Timekeeper. Wow, this tiny book turned my timeless world right upside down! You know, while reading Timeless there were some turnarounds that left me breathless and I didn’t imagine a book of only 26 pages or so to be able to make me feel like that again. I was wrong and I loved the twist in the story; now I really can’t wait to see how it will affect the events from Timekeeper. To put it simple, this story takes us back into the past, it takes us back to where Michele’s story had really begun. It’s not her story to tell, but even though she doesn’t know it yet, these past events will change her future. We get glimpses from her father’s past life, from a hidden society of time travelers and from someone that will probably definitely play a great role into the next book – Rebecca Windsor. I will stop here, because the story is too short for me to reveal it to you, and it would be a shame to take away from you the pleasure of discovering it all by yourself. But if you are a Timeless fan you will love “Secrets of the Time Society ” too – it will make you hungry for more, yes, but you will feel a bit closer to the wonderful world created in Timeless. So this is me, falling in love again with this story. PS: I found this wonderful interview “10 Random Things About Me” with Alexandra Monir at teenreads.com, you should definitely check out the full article! I came up with the idea for Timeless on a December afternoon in New York, while thinking about how coming of age and falling in love feels the same way no matter what century a person lives in. I wanted to explore the idea of sixteen-year-old girls from different eras experiencing what it’s like to grow up in this wonderland that is Manhattan. As I wrestled with this idea later, I had another thought that grabbed me and wouldn’t let go: What if someone’s real love isn’t found in their own lifetime? What if someone’s true soulmate lives in the past? This idea inspired me to come up with Michele and Philip’s love story. I loved Timeless and I bought it on my nook. 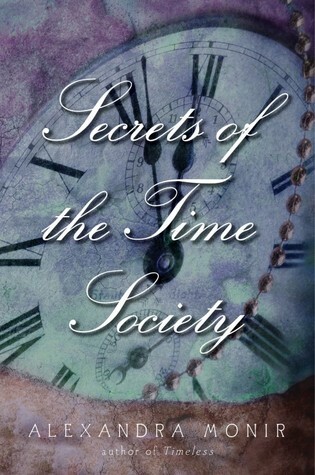 I have been waiting for Secrets of the Time Society but the only problem is that i don’t have a nook anymore. I was wondering if you know if their are book versions. “Time Society” comes only as an ebook (as it is too small and it wouldn’t justify the printing costs), but at least some ebooks can be read on the computer (I know kindle has an application for PC/Mac, and I guess others should have one too – you could check their websites to see). If you worry that you can’t read on the computer… well, 26 pages have no way of hurting your eyes, you will read it pretty fast.